Hey, I'm writing a persuasive speech on why Twilight is better than Harry Potter with respect to thier contributions to society, and I need your help to prove it. I just need you to answer these questions and please remember to answer honestly, thats the most important thing. What age did you start dating? How many boyfriends/girlfriends have you had since then? And just for fun, whats the craziest Twilight related thing you've ever done? Once you're done, just pm me your answers. Re: Help me defend Twilight to my grad school writing class! Yes I agree with the above, if nowadays people and mostly teenagers want to have an iPhone or an iPad and loads of tech then why the hell have most teenagers read them and there is even the twilight lexicon made to discuss the books and films ! Hi! Twilight fan doing a dissertation on male fans! My name is Chloe, and I am currently a third year undergraduate studying Journalism, Film and Media at Cardiff University, Wales. I am currently doing my dissertation, and i wanted to investigate male fans of the Twilight Saga! If there are any males online who wouldn’t mind answering six questions for my research, i would much appreciate it. I will keep all names anonymous when using them for my research! I want to emphasise that your participation is totally voluntary and you can chose to withdraw at any time and for any reason. If anyone would prefer to private message me with their thoughts or would like to expand on these questions that would be great also! 1:Why do you like the Twilight Saga? 2:Why/how do you identify with the Twilight Saga? 3:How do you feel about the relationships presented within the Twilight Saga? 4:What do you think of the male characters within the series? 5:What do you think of the female characters within the series? 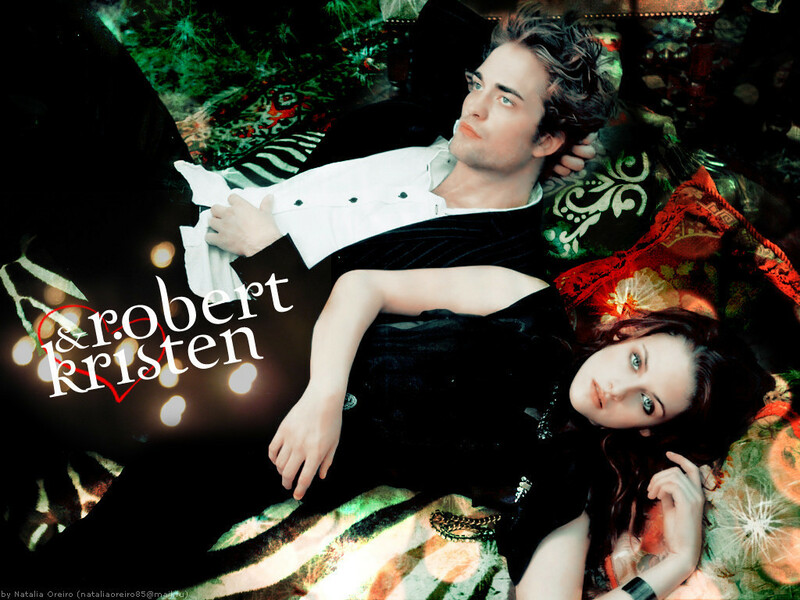 6:Do you ever feel like you cannot admit to liking the Twilight Saga/do you ever hide the fact you like it? If so, why? What does it really mean to be a fan? We want to know what you think! Please complete this short survey and help to construct a new psychometric measure that will assess fan identity specifically as it relates to media fandom. Thank you! This research study is being conducted by researchers at the University of South Florida. Thank you to everyone who helped me out! The survey has now been closed, and, thanks to you all, Part 1 of my thesis is finally complete! If you have any questions about the study, feel free to post here, send me a message, or send me an e-mail. Thanks again for your help! New member – need your help! 3. How long have you been a Twilight fan? 4. Why did you become a fan? 5. Have you read the books, seen the movies or both? 6. Are you interested in any other books/tv shows/movies about vampires? Your help would be greatly appreciated! If you want to participate, you can just reply in this thread or, if you prefer, send me a PM. P.S. : Mods, I apologize if it's the wrong forum for this - I wasn't entirely sure where to post it. 3. How long have you been a Twilight fan? Since March 2009, so that's about three and a half years. 4. Why did you become a fan? I'd been hearing about Twilight for a while. I love romances, especially when there is an unusual element thrown in (usually a sci-fi or supernatural one), and especially if the unusual hero saves the woman he loves at great risk to himself, but I'm terrified of vampires. So, even though I thought it sounded right up my alley, I kept away from it for a while because I was scared. When it was scheduled to come out of DVD, I thought I'd take a peek at the trailer to see if I could see it. From the moment I saw the first teaser trailer I was absolutely hooked! 5. Have you read the books, seen the movies or both? I have done all of the above many, many times. 6. Are you interested in any other books/tv shows/movies about vampires? No. They're too frightening. I'd never even contemplate something like True Blood, for example. I can only handle the Twilight vampires because a) the ones you see most are vegetarians b) there is very little blood c) they don't have fangs. I hate fangs. Last edited by Tornado on Tue Oct 09, 2012 12:07 am, edited 1 time in total. 2: Male or female: Male. 3: How long have I been a Twilight fan: March, 2009. 4: Why did I become a fan: Working at a library at the time, I saw the books every day as they were processed to be sent out to people. I then (and this should show you how little regard I give pop culture at times) realized that Kristen Stewart (who I've been a fan of since Speak came out) was in the film, and that was in March of 2009. I've become an almost religious fan of the Twilight Saga since. 5: Have I read all the novels/seen all the films? I own all the novels, all the movie guides, and every film released on DVD aside from BD1. I hope to own the Official novel guide, BD2 film guide, BD1 DVD and the Twi and NM Graphic Novels soon, too. 6: Any other vampire stuff: Aside from watching the Hellsing anime cartoons when Starz showed them, not really, though I'm into various other things that influence my fan fic writing. 4. Why did you become a fan? Having trouble answering this other than to say I loved it. I have not, as an adult, read any other book let alone any other series so quickly - not only because of the level of the writing but also because I was trying to read and wash dishes at the same time. I was entranced by the love story - I like speculative fiction settings, and within that, I thought that this love story was very genuine and all the characters very engaging. As characters, they were all nice, good, relatable people who were loving and wanted to do and be good and have good things happen to other people. That's not common, and I found it cozy. 5. Have you read the books, seen the movies or both? Both. I've read each book around 14 times - I lost count, I was a little embarrassed. Movies - own all of them on DVD. Not sure how often I've watched them - a lot. I also have Bree Tanner and the Guide. I'm trying to figure out how to collect all Stephanie's outtakes in printed form in case the apocalyse comes ... I don't want to not have access to my Twilight. Have I scared you yet? 6. Are you interested in any other books/tv shows/movies about vampires? Not as such. I don't watch Vampire Diaries, True Blood, or Teen Wolf. I haven't read any of the many books that have come out. But I saw a German vampire movie a few months ago that was awesome. And I was a fan of Anne Rice's vampire books from the 80's; I'm eager to read her new werewolf book. Good luck with your study! 2 of my best friends were into the books and kept bugging me to read them, mostly because I made fun of Twilight and because they thought I'd enjoy it. So finally, one of them said-read them and if you hate them, then you can make fun of it all you want. I started reading the first book and read them all in about 4-5 days only really stopping to go to work! Read the books all many times and seen/own all the movies I also own the Guide which I've read thoroughly at least once but also love picking it up to read it partially. The Bree Tanner novel I've read twice so far but I just bought it so I expect it to be more. Any time I start the first book, I usually finish the whole series within a week or two. Not particularly. I like how Twilight is primarily a love story and it's not gory. So many of the commercials make it look a lot gorier/scarier than Twilight. I like the light hearted-ness of the series.